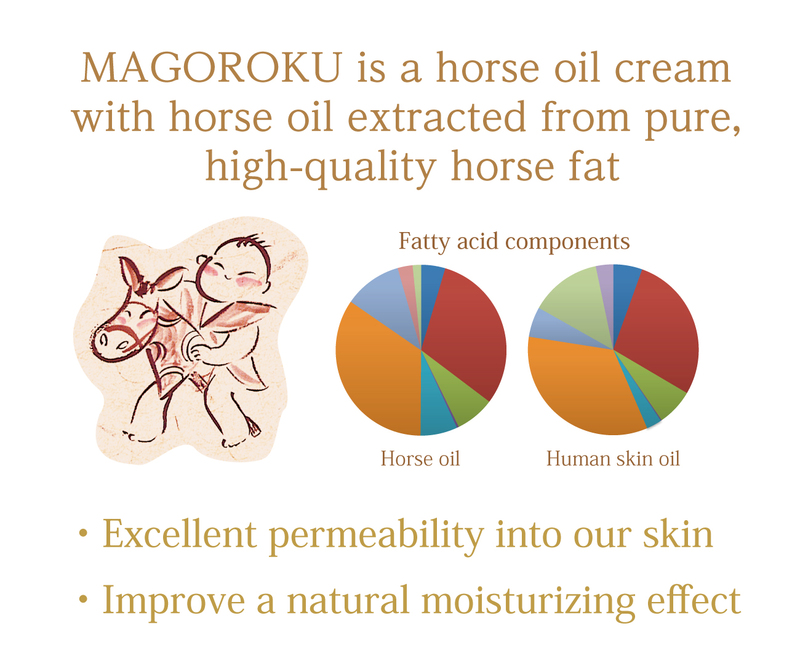 MAGOROKU is a horse oil cream with horse oil extracted from pure, high-quality horse fat that has the closest fatty acid composition to that of human dermal oil. It also contains a fermented vegetable extract that is a combination of several dozens of plant ingredients fermented with unique probiotic strains and other botanical extracts from aloe, loquat leaf and peach leaf to improve a natural moisturizing effect. The horse oil selected for Magoroku is known as quality oil that has the closest fatty acid composition to that of human dermal oil. With its excellent permeability into our skin, the moisturizing component in Magoroku naturally and smoothly reaches inside the skin. It also contains a fermented vegetable extract that is a combination of several dozens of plant ingredients fermented with unique probiotic strains and other botanical extracts from aloe, loquat leaf and peach leaf to improve a natural moisturizing effect. Magoroku is free of any fragrance, coloring agents, fillers or viscosity stabilizers, and gentle on the skin. Contrary to its name, Magoroku skin oil delivers smooth skin leaving no sticky residue. You only need a small amount of cream – it spreads well since the horse oil selected for this product underwent deodorization and decolorization treatments to enhance its purity. Experience its excellent penetration to your skin. Horse oil as a traditional indigenous medicine – with roots that trace back to the era of China’s equestrian people - has been used for burns, cuts and insect bites over centuries in Japan. Cells of our skin are made of oil (=oil and fat) called fatty acid. Therefore, our skin gets dry and loses it’s glow unless we replenish it with appropriate fatty acids. Normally, animal oils and fats have a type of fatty acid that is similar to butter and lard, and they do not penetrate into our skin. Moreover, the fatty acid compositions of vegetable oils and fats, in contradiction to its nice ring, are far different from that of humans. Although horse oil is animal oil, it is somehow rich in the type of fatty acid which can be acquired from plants. 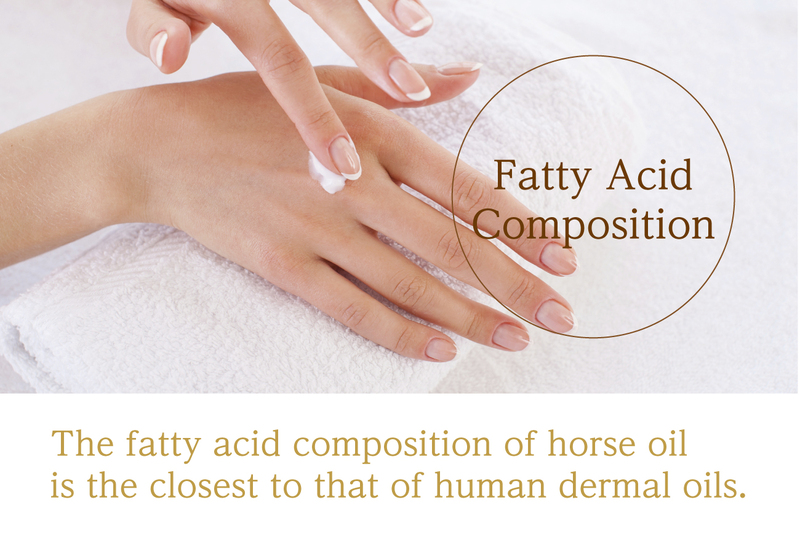 Additionally, the fatty acid composition of horse oil is the closest to that of human dermal oils when compared with other oils and fats. Thus, with its outstanding permeability into human skin, Magoroku feels natural and penetrates smoothly into the skin. Blended with a lactic acid fermented extract and other botanical extracts, Magoroku offers a natural moisturizing effect and supports the effectiveness of horse oil. This is a combination of herbs, fruit and seaweeds fermented with a mix of probiotic strains. It also includes by-products from fermentation such as organic acids, amino acids, minerals and vitamins. 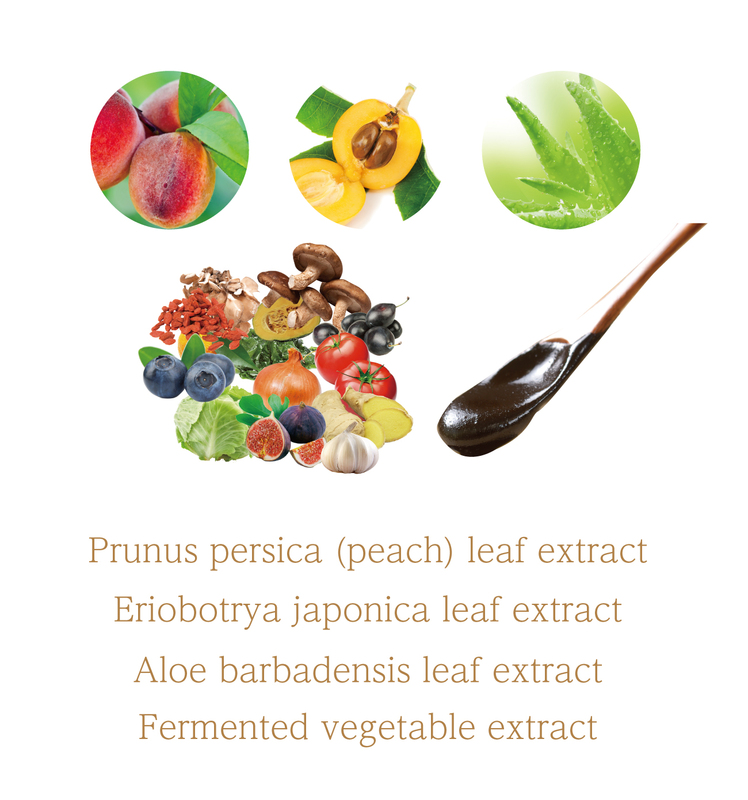 This is extracted from peach leaves and has the functionality to eliminate reactive oxygen species (ROS). A useful component in this extract is tannin. This is extracted from loquat leaves and has scavenging activity against active oxygen and inhibitory activity against lipase. Useful components in this extract are saponin and tannin. This is extracted from the juice of aloe leaves and has a moisturizing effect. Useful components in this extract are sugars and amino acids.